This past weekend I finally finished Stephen King’s latest novel that deals with the JFK Assassination and time travel. The idea of being able to travel back in time to witness one of America’s most debated events is without a doubt one of the most intriguing ideas to come along. I actually thought about this five years ago when someone asked me what I would do if I could travel back in time. Stephen King originally started writing this novel in 1971, but dropped the project because, at the time, the assassination was still a delicate subject to deal with. Jake assumes the persona of George Amberson and while on his trip back in time, tries to alter the lives of a janitor from the high school he teaches at, and a young woman who is shot accidentally on a hunting trip by a stray bullet. There’s a catch to all of this time traveling: Every trip through the rabbit hole results in the previous trip’s alteration to be reset. “Every trip is the first trip…” There’s also the complexity that is synonymous with time travel: The Butterfly Effect. Changing something in the past can have adverse effects on the future. Oh, and, there’s also the creation of “strings” or more commonly known as variant timelines. Rather than explain the complexities of time travel, the book focuses more on the life of George Amberson leading up to the event on November 22, 1963. George (Jake Epping) bides his time in the fictitious town of Jodie, Texas. As he interacts with people during his trip back in time, he starts to question whether his interactions are making things worse for those who George Amberson comes into contact with. One of which includes another school teacher, Sadie Dunhill, who becomes his love interest while in Jodie. The book gets a little sidetracked with Jake’s time in Jodie, but still manages to move the reader along up to the climatic confrontation with Lee Harvey Oswald on the sixth floor of the Texas School Book Depository. 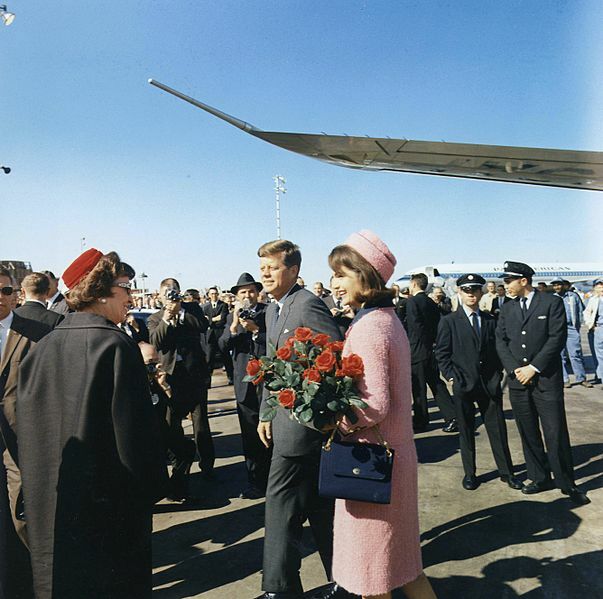 On Jake’s trip back to 2011, he finds himself in a world that has drastically changed—for the worst—by the salvation of JFK’s life, which causes a domino effect of bad events. Jake is left with the dilemma of going through the whole ordeal again, to save the lives of the people he fought so hard to save, or just going through to reset his previous trip. 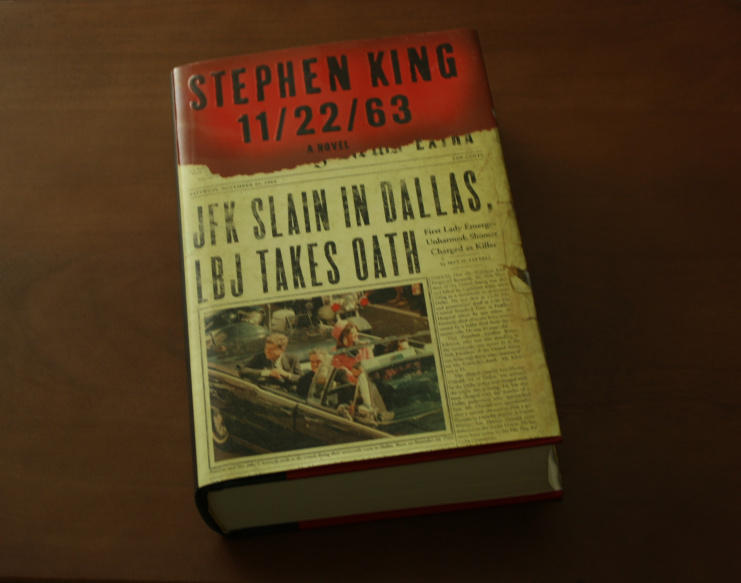 11/22/63 is definitely a good read despite its extra padding and does a good job of keeping the reader entertained by weaving factual events and details, with the excitement of witnessing first hand, actual history and the people who were involved in it. It was awesome to read about the landmarks, streets, and places that I’m familiar with in Fort Worth—7th Street and Montgomery Ward, now Montgomery Ward Plaza. And, although, Stephen King has drawn criticism for being hard on Dallas—and slightly on Fort Worth, too—the reader must keep in mind that this book was set in a time when living in DFW was completely different than what it is today. If you’ve ever been intrigued by the history and events leading up to the JFK Assassination, then I would highly recommend reading 11/22/63. Even though it’s a work of fiction, it’s still a fantastic story dealing with that most tragic of events in our Nation’s history.